.... like this, but darker. We're just letting you know that any company you were expecting may be a bit late. 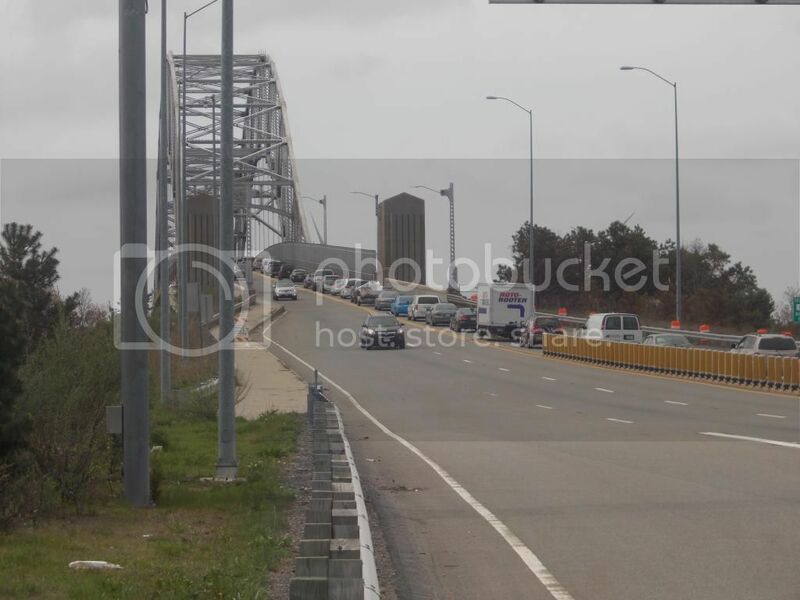 Route 3 South heading to the Sagamore Bridge is a parking lot from Exit 3 South. If you can, get off at Exit 3, drive past the Pine Hills, and head to the Cape the old school way, down 3A. That sounds like a lengthy diversion, but it will actually save you 15 minutes. Exit 2 is another good way to get 3A going south, but you'll have sat in 15 minutes traffic by then. I didn't try the Bourne Bridge, but I bet that is no fun either.